Precision Orthopedics & Sports Medicine (Irving) - Book Appointment Online! 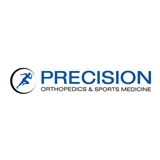 All physicians at Precision Orthopedics & Sports Medicine (formerly Irving Orthopedics) have extensive training in the diagnosis and management of injuries and diseases of the musculoskeletal system. Their comprehensive knowledge in the highly specialized areas of orthopedic medicine includes arthroscopy and sports medicine, fracture care, total joint replacement and complex joint reconstruction, hand surgery, foot surgery, and treatment of spinal disorders. This allows the ability to create individualized treatments plans, utilizing leading-edge skills and techniques. This energetic group of physicians provides the community with all-inclusive orthopedic services, delivered with compassion and dedication to their patients. We accept most private insurance and workers compensation. Dr. Pak, as always, was great. He apologized that he had to perform the procedure that would be uncomfortable/painful, but that it would provide the answers needed for Dr. Hendawi. Very informative and complete understood the diagnosis and what I could do to alleviate the problem I was having.